Some towns are more suitable for pictorial maps than others. 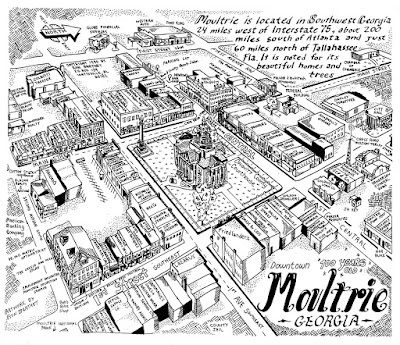 While traveling through Georgia one day, I came across the city of Moultrie, a great community with an excellent downtown area, complete with courthouse in the center square. 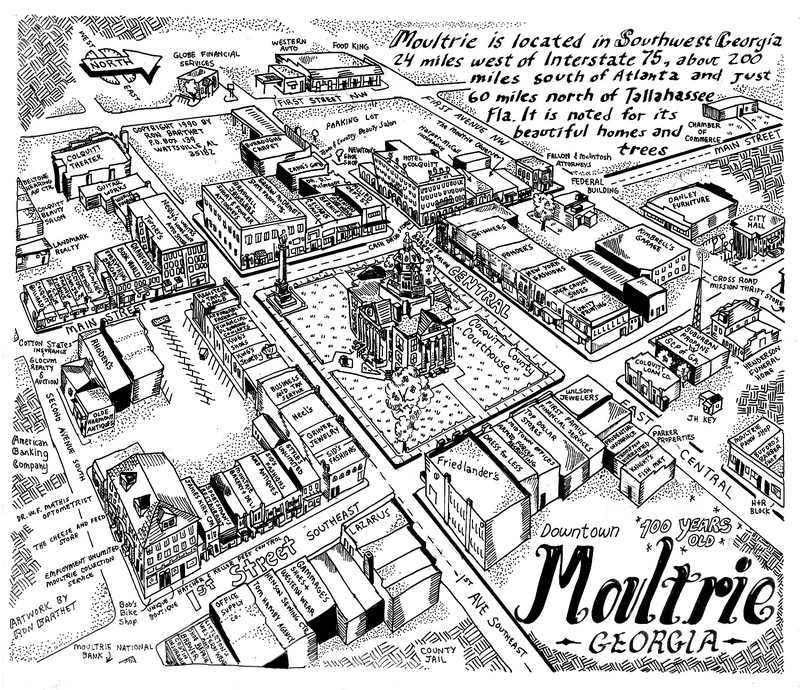 Here is the map I drew of Moultrie in 1990.